Glaucoma therapy innovator and Key Opinion Leader, Sir Peng is a lead researcher and innovator in beta therapy for glaucoma surgery. Previously, Sir Peng developed the current standard of care in glaucoma surgery known as the Moorfields Safer Surgery System. Sir Peng is Consultant Ophthalmic Surgeon and Professor of Glaucoma Studies and Wound Healing, Director of R&D and the NIHR Biomedical Research Centre at Moorfields Eye Hospital, UK. 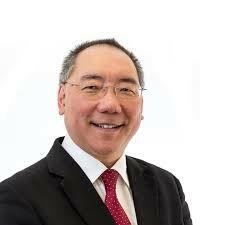 Sir Peng is past President of the Association for Research in Vision and Ophthalmology (ARVO).